Steve Guy, John Thorne, and Chandler Biggins are joined by graduate of the AIW wrestling school Alex "Worldwide" Kellar and he submits several ideas in an attempt to join the AIW creative team. they are as good as you would imagine. Steve Guy, Chandler Biggins, and John Thorne recap the Jelly Of The Month Club event from December 2016 as well as the legendary after party where an AIW fan attempted to leap out of a 2nd story window. Steve Guy is joined by Chandler Biggins and John Thorne as they discuss AIW's Hell On Earth 12 event and all of the chaos that surrounded it in and outside of the ring including a member of the AIW roster getting arrested and using Facebook Chat to get out of jail. 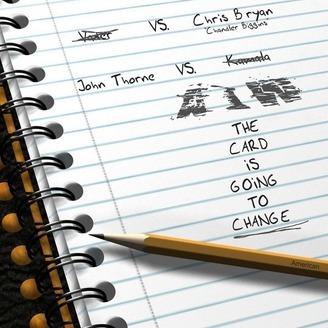 Chandler Biggins and John Thorne are back with part 2 of the AMA and they cover a variety of topics including Botchamania, what their thoughts are on other promotions,if certain talents will ever return to AIW, and much more. John Thorne and Chandler Biggins answer questions submitted by fans this week as they talk Steven Segal movies, Melt Bar And Grilled, and of course AIW!